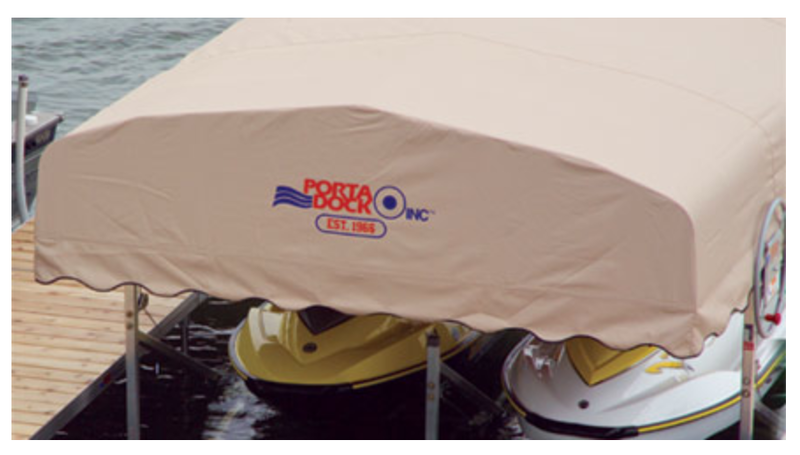 All Porta-Dock canopy frames are made of lightweight aluminum and their depth provides maximum clearance for your boat, pontoon or personal watercraft. Canopies available in beige, grey, white and forest green. (See dealer for additional color options). Attach to any Porta-Dock lift canopy to create a “garage-like” enclosure. Provides added protection to your watercraft, boat, or pontoon while in the lift. Easy to attach. Mounts to existing canopy frame. Full-length guides aid in proper boat placement on lift. Motor Stop ensures the safety of your lift and motor. Durable, lightweight, rot and waterproof mesh prevents birds of all species from nesting under your canopy. Installs in minutes. Designed to aid in installation and removal of lift, our Lift Caddy attaches to square and rectangular frames. Easily attaches to existing lift for easy installation and removal. Our solar charging systems are made from high wuality, more efficient Monocrystalline Solar Cells that also provide a clean uniform look. Each panel is enclosed in a screw-less anodized aluminum frame and tempered glass with a water tight junction box and blocking diodes. ​This is a battery bracket that allows a 12 volt battery to be mounted on a square or round upright. Keeps a battery for a DC power unit off your dock. Fits all Porta-Dock lifts. ​Designed for optimum strength and ease of use, each kit removes the strain from your lift and provides generous clearance and access. Adapts to existing lifts. Available as 12 or 110 Volt power. Remotes and solar panels optional on most models. See dealer for details.